1. Fresh new brands. 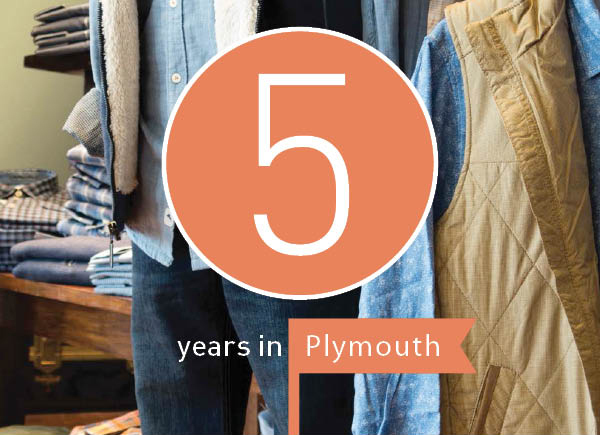 Since our move, we have seen the greatest influx of quality and inspiring brands in our store’s history. We have welcomed new tailored clothing by Byron; transformed jeans to denim with 34 Heritage and Mavi; added Rodd & Gunn, Thaddeus, Southern Tide, Robert Graham, True Grit, Maker & Company, Thomas Dean, and Canada Goose to our sportswear collections; and expanded our accessories to include brands like Will Leather and Marc Jacob footwear. 2. Opportunities to Give Back. The Foursome has been privileged to continue our legacy of supporting countless community organizations. Last year, we were excited to help Interfaith Outreach and Community Partners (IOCP) launch a community-wide Shop with a Purpose day during the holiday season, an idea originating at The Foursome. The concept is to shop with a purpose and give back to those in need. Mark your calendar and participate on Friday, December 19th, 2014. The Foursome will also be doing a jacket trade-in for IOCP in October. 3. Bridge Department. In response to a growing need for the modern man’s wardrobe to incorporate denim and looks that “bridge the gap” between tailored clothing and casual wear, we opened our Bridge Department. Men will find fashion denim, soft coats, hip button-down shirts, and fine footwear. We want to continue to be “the store in town to get your jeans”. 5. Football. Yes, football has become a part of our Plymouth experience. We are honored to be the preferred clothier of University of MN Gopher Football Coach Jerry Kill. It is a rare opportunity to get the chance to clothe a celebrity with his degree of character and humility. We were also pleased to help support Wayzata High School by sponsoring their new state-of-the-art football scoreboard. And to top it all off, there is a new (old) coach in the house. Foursome owner Gordy Engel is living his dream this football season as an assistant coach for the WHS football team led by Coach Brad Anderson, who Gordy coached as a 6th grader. Look for Gordy with a clipboard on the sidelines if you find yourself under the Friday night lights cheering for the Trojans. 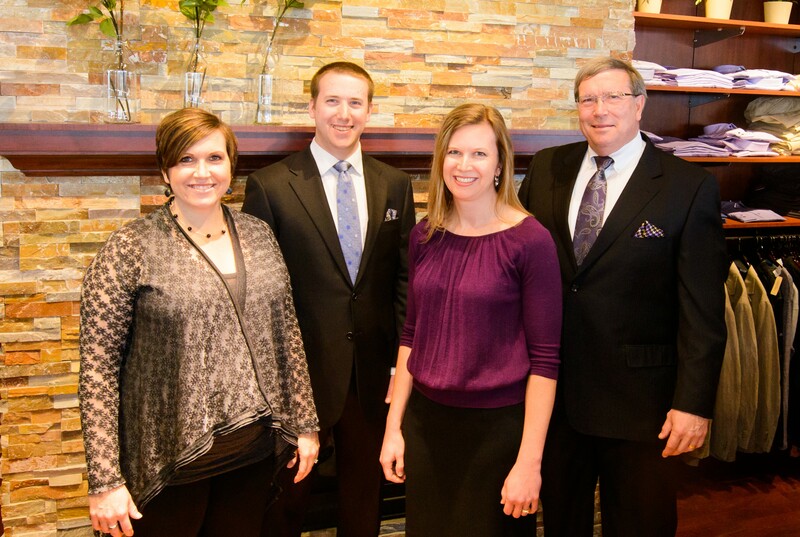 When we look back on our journey from Wayzata to Plymouth and doors that had to open, we take pause to thank God and our loyal customers for the ability to keep our family business going strong. Now that we have made our home in Plymouth, we look forward to new opportunities to serve this community for many years to come.